Norway is the world’s leading EV market and we will work hard to ensure that we are still the world leader when we invite the whole world to EVS35 in Oslo in 2022, says Christina Bu, Secretary General of the Norwegian Electric Vehicle Association. At EVS, the most important players within research, politics and the industrial and consumer sector gather from all over the world with a common goal of reducing local air pollution and greenhouse gas emissions through electrification. It is a unique and inspiring meeting place, says Espen Hauge, president of the European Association of Electromobility AVERE. The Electric Vehicle Symposium is an annual event and rotates between America, Europe and Asia. 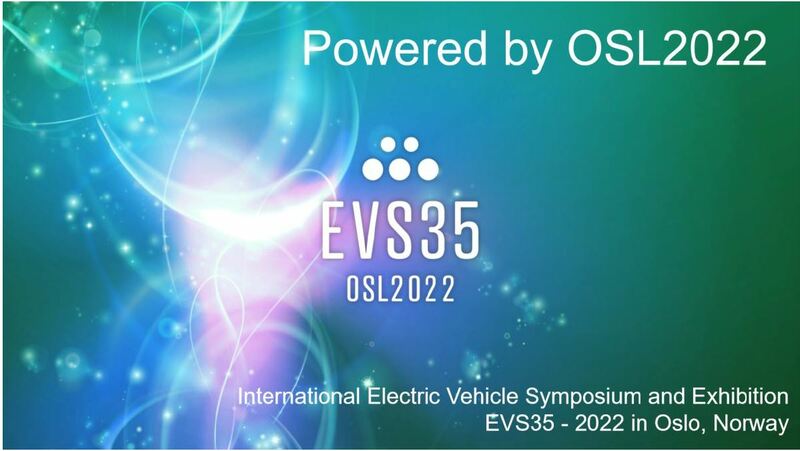 In May this year, EVS32 will be held in Lyon, France and next up in Europe will be Oslo in June 2022. The organisers Norwegian Electric Vehicle Association (Norsk elbilforening), Teknisk Ukeblad Media and Norway Trade Fairs (Norges Varemesse) also want to show off more than just electric cars. We must get zero emissions from the entire transport sector, and in 2022 we should be well on our way. Norway has good prospects for leading the development also on electric aviation, maritime, construction machinery, electric buses and electric goods transport, says Christina Bu. Norway already has the advantage of having almost 100 per cent renewable hydropower in the electricity grid and the world’s first mass market for electric cars. It can also be exploited to build new industries and jobs related to electric mobility in the broad sense. The conference itself and the exhibition will take place at the Norway Convention Center in Lillestrøm, but the entire Oslo region will be involved. VisitOSLO has contributed to the application process and is very pleased that Oslo was chosen as host city for EVS35. We are so much looking forward to showcasing Oslo, which this year has been voted the European Green Capital and which in 2022 will be even closer to becoming an emission-free city, says Annie Korsmo, Director of Conventions at VisitOSLO. During the exhibition, the latest in electric mobility will be presented to the public with everything from small two wheel electric vehicles to electric ships. Politicians, business leaders, researchers and organizations will discuss the road ahead towards a transport sector without emissions at the conference section.